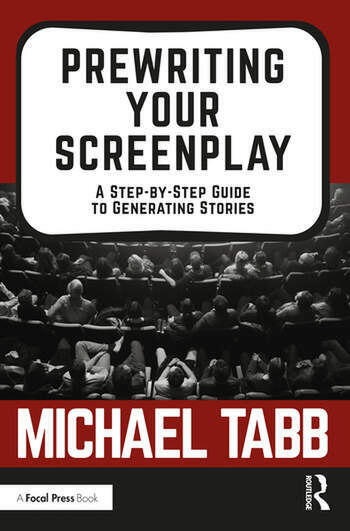 "Michael Tabb is a powerhouse. He’s one of those writers that I envy – he is ALWAYS writing. Ever since I’ve known him he has constantly pumped out quality work at a steady pace. He’s a machine! And, after reading Prewriting Your Screenplay: A Step-by-Step Guide to Generating Stories, I now know his secret. There are a lot of ‘how to’ books on writing, but Tabb’s book is the first one I’ve come across that gets to the heart of the matter: how do we find a consistent method of digging out our deepest authentic feelings and ideas? If you have ever stared at your blinking cursor on a blank page, this is the book for you. Michael Tabb proves that we all have our own stories that need to be told. We think manifesting them is hard work, but Tabb shows us it is effortless." "Michael Tabb might be the only film instructor to get me teary-eyed in class... and it was during his twenty minute practice lecture! Prewriting combines Michael's encyclopedic knowledge of film & writing and his love for the possibilities of art. Michael speaks to the reader plainly, honestly and with a real connection to the material. As a guide for a writer, it offers encouragement, concrete advice and sagely caution about the pleasures and potential pitfalls of creating any type of story. He provides sharp ideas for readers looking to develop their structure, genre, style and character, making this a valuable asset for experienced writers and newbies alike. Any screenwriting book equally adept at quoting Shakespeare and ‘Real Genius’ warrants your attention!"